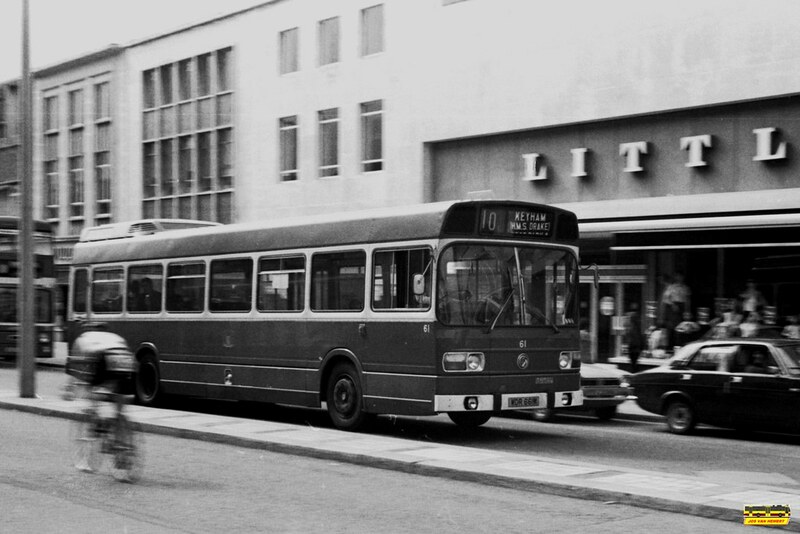 A great shot of a bus that no longer exists in a location that buses don't go and even if they did it does not look like this anymore! Littlewoods has long gone too and this store is now TJ Hughes. The area is now a pedestrian zone although there is now on street parking along sections of New George Street. I am pretty sure that buses were not regularly using New George Street at this time so I can only assume it was for an event taking place on Royal Parade as buses were often diverted through the City Centre when the Parade was closed. Thanks to Jos for allowing me to use his photos. Expect to see more over the coming weeks! A Transport of Delight: Mass Default What will happen in 2016/7? Omnibuses: From the company postbag A brilliant look at what bus companies have to put up with! FIRST: Saltash Regatta Parade 19th June: From 1030 - 1130 Fore Street will be closed & services 1/1A & 76 diverted via New Rd & North Rd from 1015.